Brain microcirculation is the part of the brain vasculature that contains the smallest vessels and is the closest to neurones. It plays a central role in brain physiology and physiopathology as it regulates transport and transfer of nutrients (e.g. oxygen) and metabolic wastes. The microvasculature consists of arterioles, veinules and capillaries, with very specific structures and functions. Ateriolar and veinular trees have a quasi-fractal structure and transport efficiently; whereas the capillary bed has a homogeneous structure that is efficient at transfers between blood and brain tissues. Computed flow in the brain microcirculation. 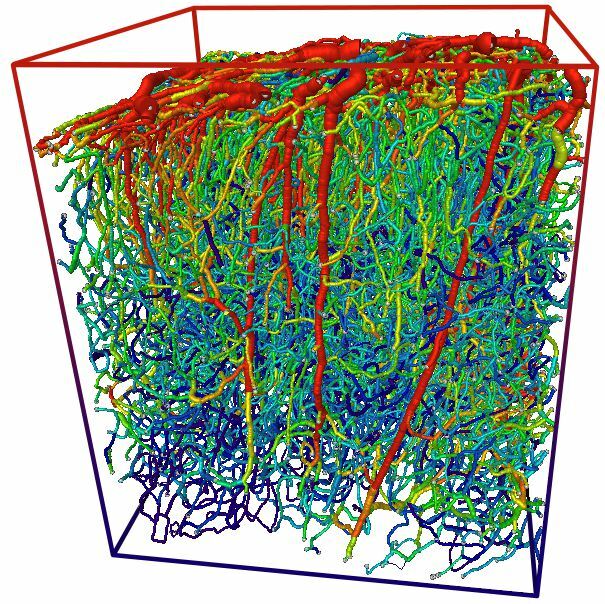 We work on developing a new paradigm for modelling transport and flow in the brain microcirculation and, in doing so, aim to address fundamental questions linked to several pathologies (including Alzheimer’s disease). This activity is funded through the BrainMicrowFlow project, which has been awarded to Sylvie Lorthois in 2014 by the Products and Processes Engineering Panel (PE8) of the ERC. 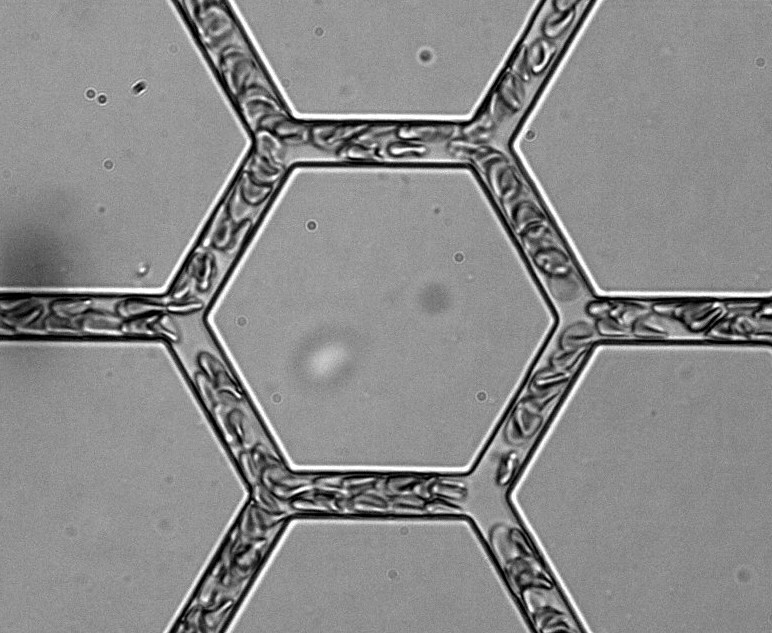 Microfluidic experiment of red blood cells flow in a porous network.